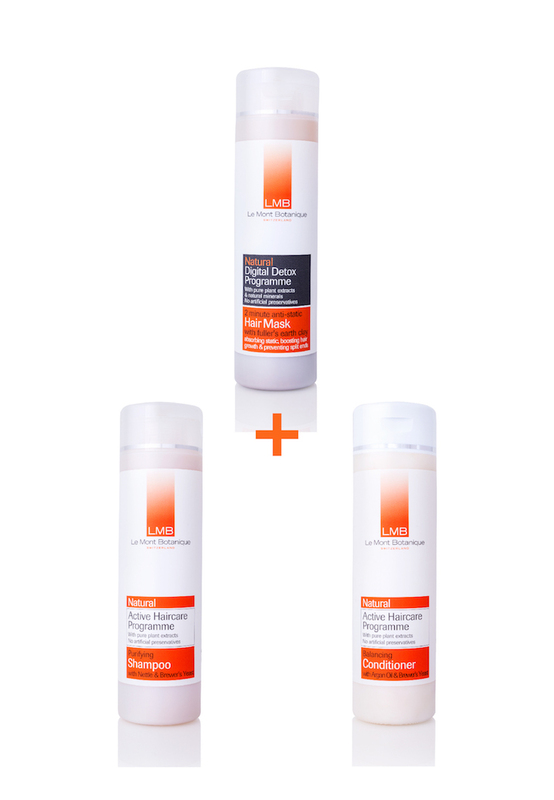 To fix split ends and frizzy hair, use LMB's anti-static hair mask with active haircare shampoo and conditioner for incredible, fast results. Use to maintain youthful healthy hair, LMB Shampoo is fortified with Brewer's Yeast, pure Argan Oil and Nettle extracts to promote healthy growth and lustre. Gentle cleaning action with a rich lather for tangle free, full-bodied hair. Nettle - Contains 16 free amino acids and proteins plus vitamins and minerals that are essential for healthy hair growth. Brewer's Yeast - a natural source of B group vitamins, essential amino acids, minerals and microelements, fundamental for the development and structure of the hair and scalp. Also contains Biotin which helps strengthen the protein structures of the hair. Use to maintain youthful healthy, tangle free hair and shine, LMB Conditioner is fortified with pure Argan Oil, Brewer's Yeast, Pro Vitamin B5 and pure Nettle extracts to promote a healthy shine and tangle free styling. Use after washing hair with LMB Purifying Shampoo. Argan Oil - a natural source of vitamin E. Carotenoids, Ferulic Acid and Squalene which are vital in restoring and nourishing devitalised hair. Brewer's Yeast - a natural source of B group vitamins, essential amino acids, minerals and microelements, hair and scalp. Also contains Biotin which helps strengthen the protein structures of the hair. Mask: Shake well before each use. Wet hair with warm water and gently massage the mask into the hair and scalp. Leave for minimum two minutes and rinse well. Follow with LMB balancing conditioner. Use twice a week in the place of LMB's purifying shampoo for lasting results. Shampoo: Wet hair with warm water. Gently massage shampoo into hair and scalp. Rinse well. Follow with LMB Balancing Conditioner. Use daily for lasting results. Conditioner: Wash hair with LMB Purifying Shampoo. Massage conditioner into wet hair. Leave in for 2-3 minutes and rinse with warm water. Use daily for lasting results. Buy this package to receive 10% discount!